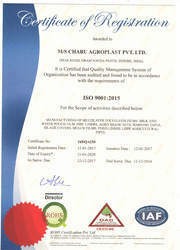 Established in 2000, "Charu Agroplast Private Limited" with a installed capacity of 10,000 M.T. Per annum produces high quality Plastic Films and Shade Nets and Manufacturer, Exporter, Supplier, Distributor, Wholesaler and Trader to a large number of satisfied customers in India and exports to Asian and European countries. Located at Indore, the commercial capital and hub of central India, our manufacturing plant and offices are built on a 25,000 sq.m plot with 6,000 sq.m constructed area. Equipped with State-of-art modern co-extrusion blown film plants, rotogravure printing machine, high speed slitters and raschel knitting looms. We are uniquely positioned to offer our valued customers a wide range of advanced packaging films, prompt technical support and responsive customer service, all served by technology driven and customer friendly team. Charu's strengths and success comes from it's long-standing focus on consistently delivering quality and continuous improvements in products well versed in product application and packaging machines, Charu offers high performance and cost effective plastic films to ensure ultimate customer satisfaction our customer grows and prospers, So Do We. We have been functioning under the esteemed guidance of "Mr. Amitabh Agarwal" (CEO) & "Mr. Nitesh Jain" (Director), who, with their vast domain expertise and brilliant leadership skills, have led the organization to attain heights that were unimagined earlier. 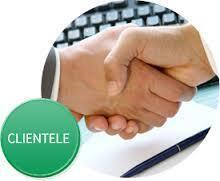 Owing to our ethical disposition, we are considered extremely trustworthy by the customers. We an ISO 9001:2015 Certified are an eminent manufacturer, supplier and exporter of a broad array of Packaging Films, Liners for Fibc and Shade Nets. 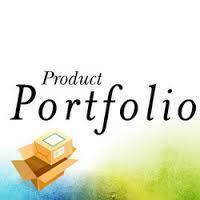 These products are manufactured using excellent quality material that is sourced from certified vendors of market. Available in various specifications, our range is in compliance with international quality standards. All our products are widely acknowledged in market for their wrinkle free nature, low leaking rates, puncture resistance, high barrier property and fine finishing. In our range, we offer Printed Vanaspati Oil Film, Conductive Film, Green House Film, Milk Packaging Pouch, Cereal Liners, Lamination PE Film, Shrink Films, Stretch Hoods and Shade Nets. Directors have a long plastic domain experience and guide the operations with zeal and commitment to provide quality products in time and at the best price. Being a client-centric organization, we strive to maximize the contentment level of our esteemed clients in the best possible manner. For this reason, we make sure that quality-approved products are offered to them at industry-leading prices. All our offered products are manufactured using finest quality material so that these are in tandem with international quality standards. 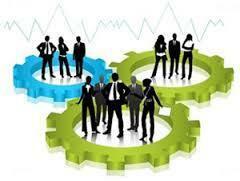 Our experts maintain cordial relations with clients to understand their varied requirements and cater them accordingly. Furthermore, we assure timely delivery of consignments at clients' destination using easy shipment modes. Owing to these factors, we have gained an edge over our competitors spread across the world and especially in the markets of Indian Subcontinent, South/West Africa, East Asia and South East Asia. 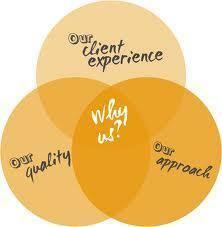 Our client centric approaches, sound strategies, flexible payment modes and quality products.